Like Facebook, Twitter is struggling with an image problem and is asking its users to help find a solution. In a series of candid tweets, CEO Jack Dorsey admitted the site has "witnessed abuse, harassment, troll armies, manipulation through bots and human coordination, misinformation campaigns, and increasingly divisive echo chambers. "While working to fix it, we've been accused of apathy, censorship, political bias, and optimizing for our business and share price instead of the concerns of society. This is not who we are, or who we ever want to be." Dorsey suggested various metrics that could be used to monitor the quality (or "health") of conversations on Twitter, including indicators developed by media analytics company Cortico, which uses AI to identify core facts in a coversation and assess how they're discussed. Twitter has also opened the door for proposals from users, creating a form where anyone can submit suggestions for ways to measure the health of Twitter conversations. The form is open until April 13, but there's no word yet on how Twitter will use these indicators to fight fake news and harassment on the site. Last week, Twitter made a more immediate change by announcing new rules to restrict third-party apps that let users post automated tweets to multiple accounts. The aim is to cut down on malicious spam and nuisance tweets. 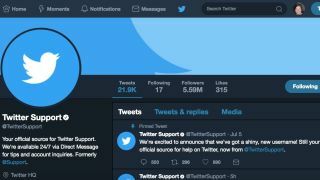 “To be clear: Twitter prohibits any attempt to use automation for the purpose of posting or disseminating spam, and such behaviour may result in enforcement action,” said Yoel Roth, Twitter's head of API policy and product trust.